With the '80s revival in full swing, it only seems fitting that sparkly shadows make their way back into our beauty routines. To learn how to embrace this not-so-subtle eye makeup trend without looking like an art project gone awry, we reached out to a bevy of makeup artists for their tips on how to apply glitter eye shadow. 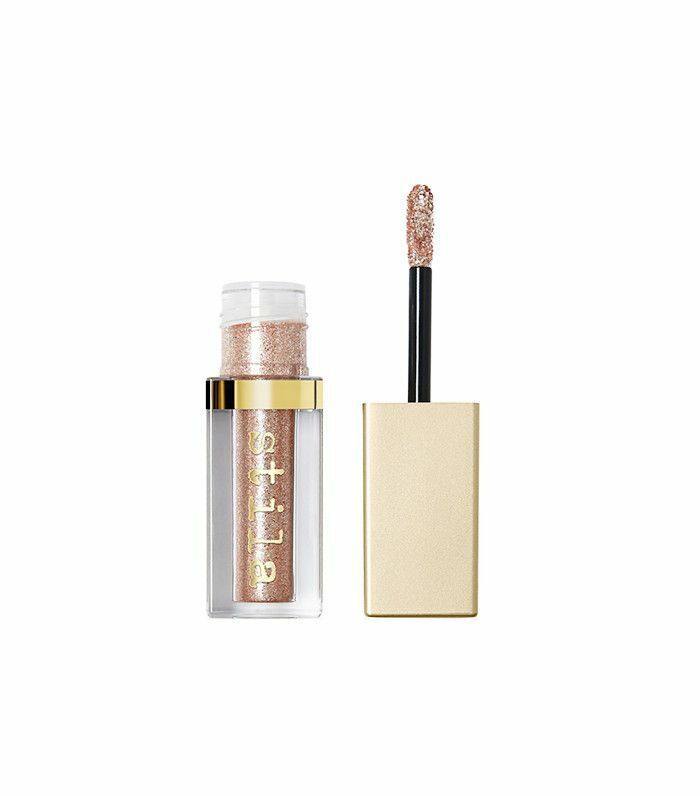 Sure, glitter shadow might be synonymous with our preteen days, but the shimmery eye makeup trend of the present is entirely different than the globbed-on glitter looks of our past. Think fresh and minimal with just a hint of sparkle à la Delpozo F/W 17. So just how do we create this chic glitter eye look that has been taking the beauty scene by storm? By keeping it "controlled and clean with no fallout," says Honey Artists makeup artist Robert Greene. For step-by-step instructions from the pros on how to apply glitter eye shadow, keep on reading. Min Min Ma, also of Honey Artists, recommends both cleaning your lids and applying eye cream before attempting a sparkly makeup look. Ma further suggests using the above cream, as it is lightweight and not greasy, which she says is essential for a glittery eye. When it comes to glitter eye makeup, the biggest faux pas is fallout. To prevent glitter from falling to the under-eye area, Ma suggests using these patches: "They help to catch any makeup droplets while also leaving your under-eye skin smooth and youthful looking." Multitasking at its finest! 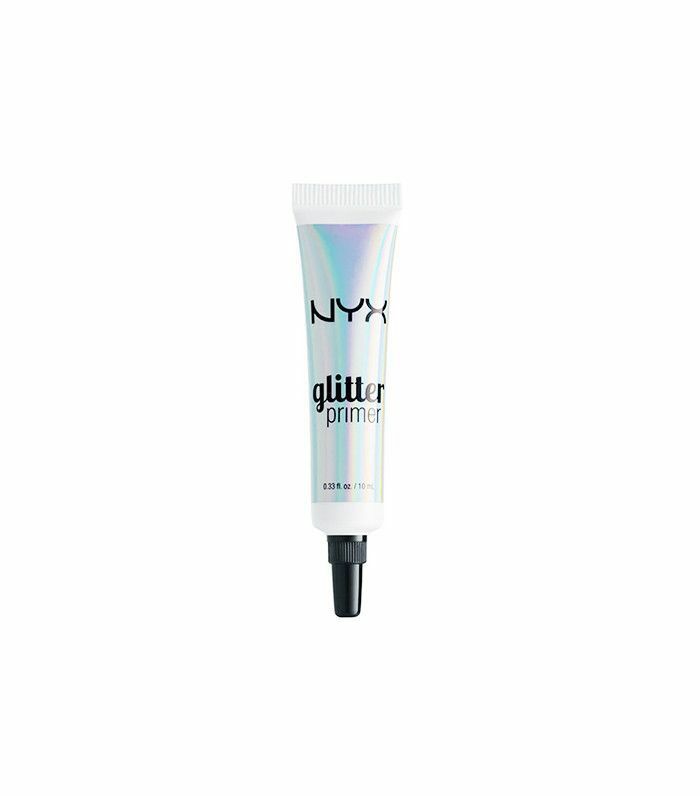 Before applying your glitter shadow, Kristine Cruz, senior makeup artist at Antonio Prieto Salon, says to apply the Nyx primer above to minimize glitter fallout. 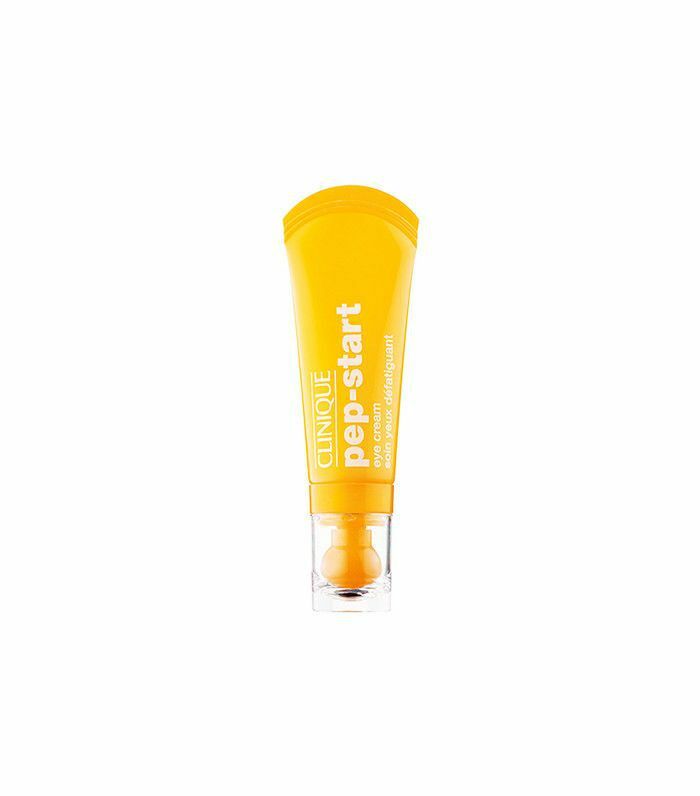 Greene adds that cream shadow and/or lip balm work just as well as primer, depending on the look you're going for. 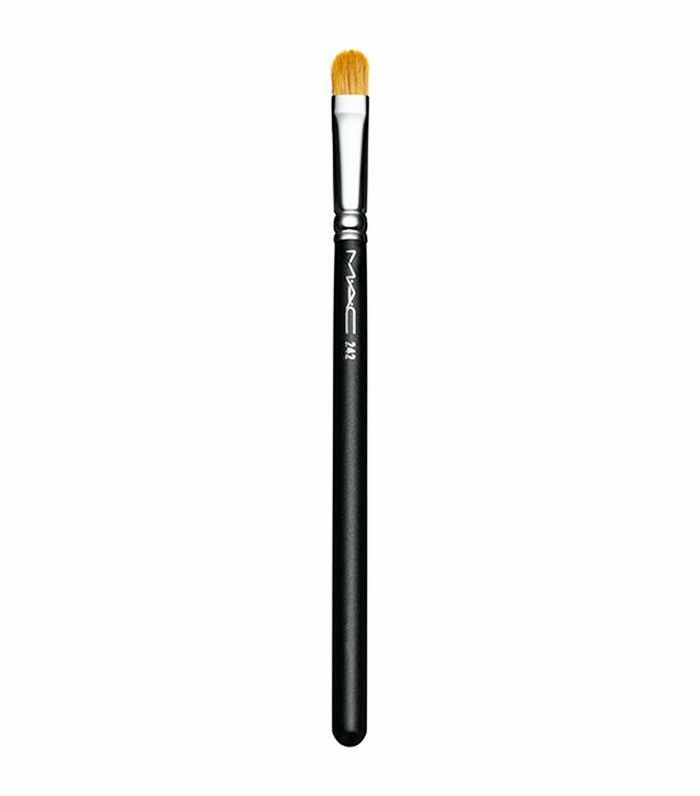 Greene recommends patting glitter shadows into place with this flat synthetic brush from MAC or using your fingertip. How do you decide whether to use a brush or your fingers? "Your fingertip is great when applying [glitter] to larger surfaces like the entire eyelid," Ma says, adding that brushes are better for precision in areas like the inner corner of the eyes or along the lash line. "The most important part of glitter eye shadow application is to keep it controlled and clean with no fallout," Greene notes. 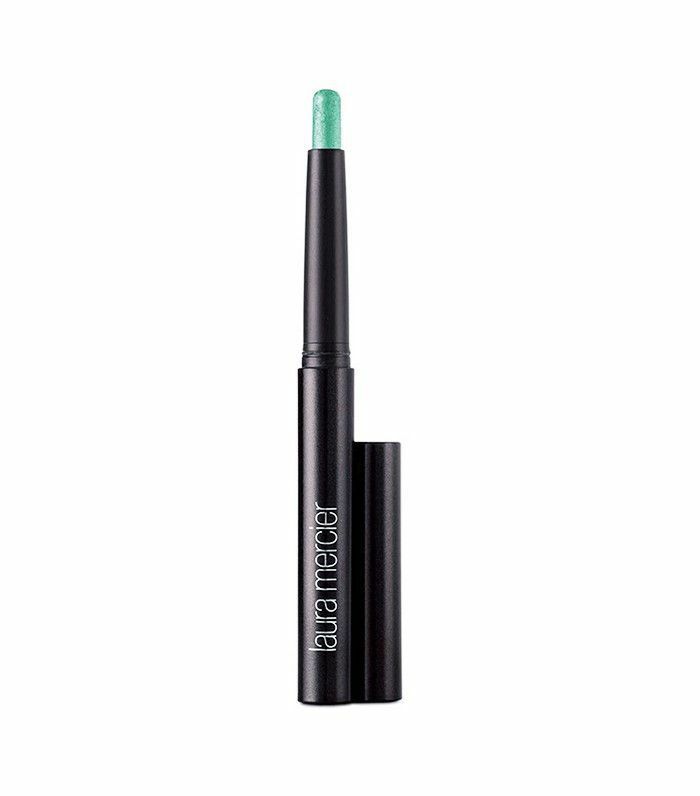 In order to keep your eye makeup mess-free, Greene suggests you look down or keep your eyes closed so the glitter can set and dry into place without creasing. "Glitter should go on last, followed by mascara," Ma notes. 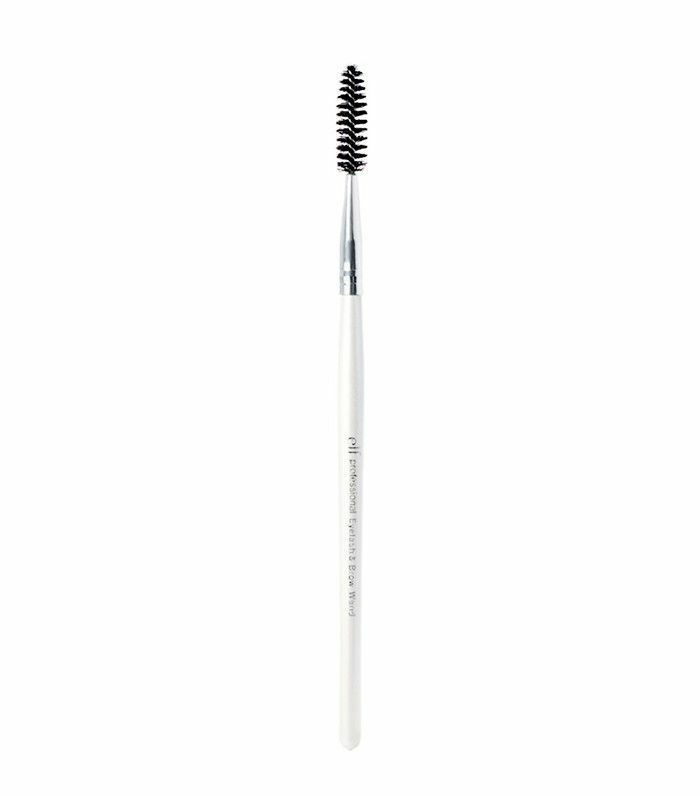 However, before you coat your lashes, Greene recommends brushing them out with a lash spoolie dipped in water to ensure a more precise, clean eye makeup look. 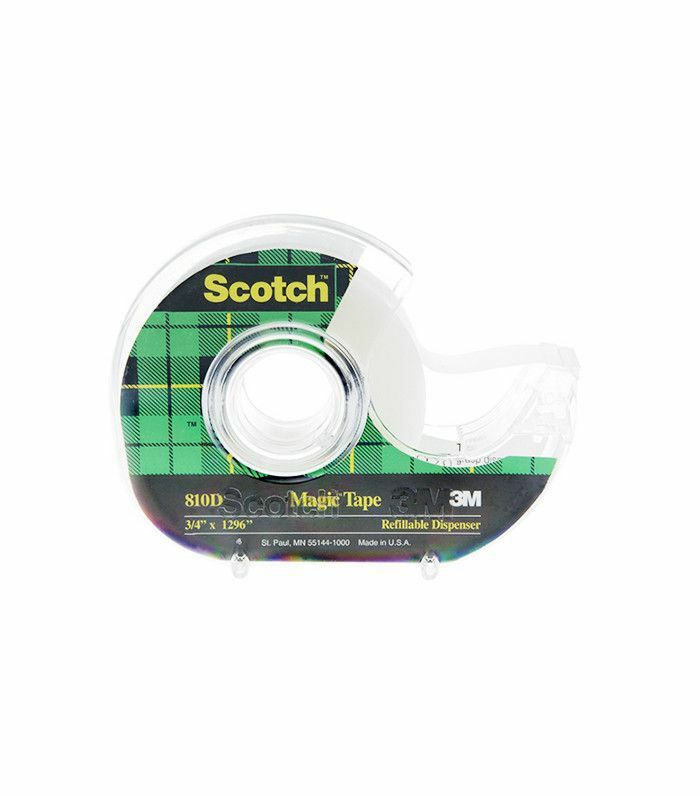 If you do happen to have glitter fallout, Greene says to use small strips of Scotch tape to help remove excess glitter, keeping the sparkle concentrated just on your eyes. To complete your look, Ma recommends using this heavy-duty makeup setter that prevents both fading and fallout. 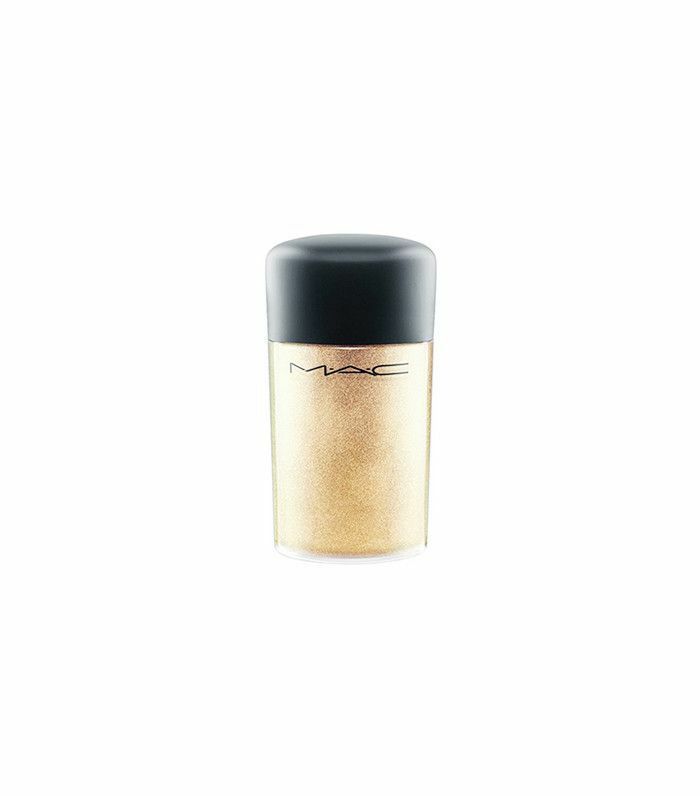 Now that you know how to apply glitter eye makeup, keep reading for makeup artist–approved glitter shadows. 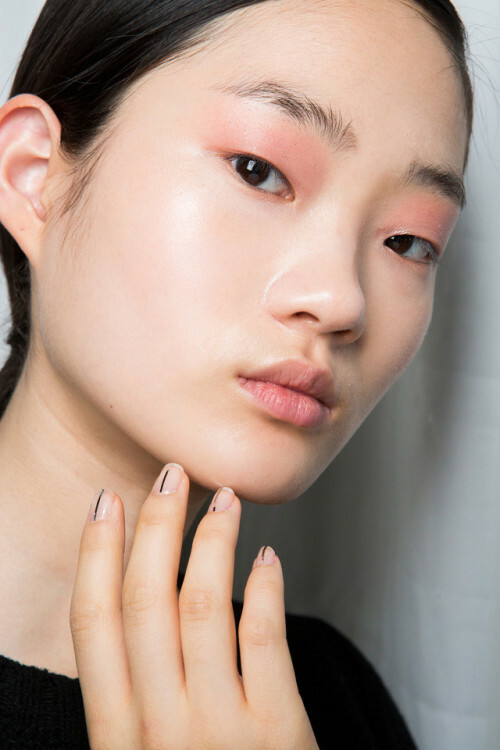 A little goes a long way with this heavily pigmented shadow, says Ma. Since it's a loose powder, she recommends using a binding product like Urban Decay's Eyeshadow Primer Potion ($12). Both Ma and Greene love this extremely pigmented shadow. So just why is this glittery shadow better than others? 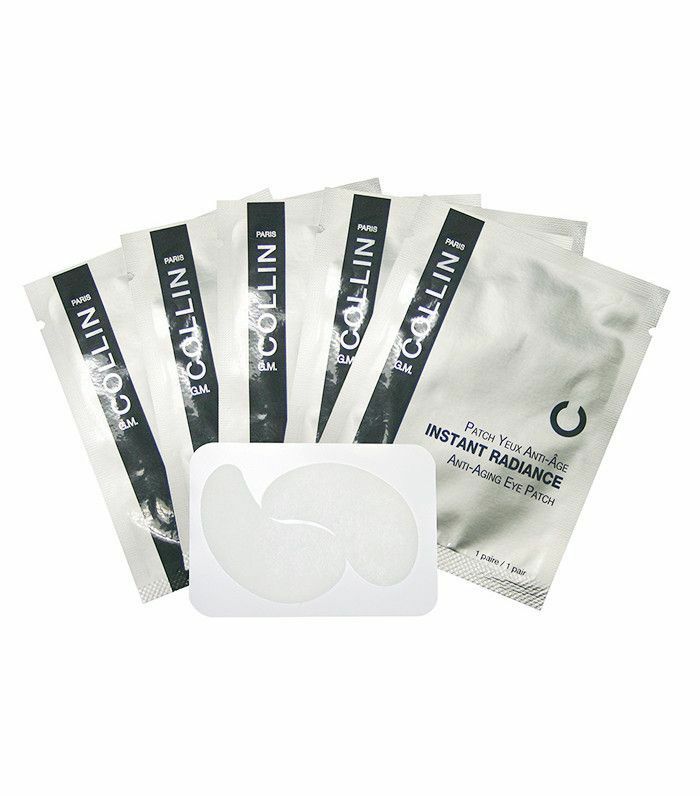 "It's easy to use, not messy at all, and comes in many shades complementing different skin tones and eye colors," says Ma. 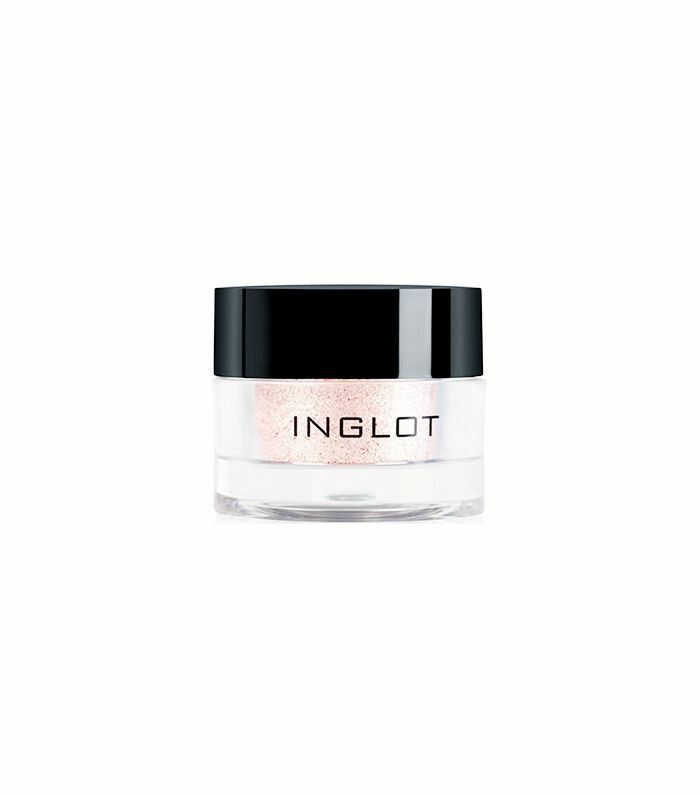 One of Ma's all-time favorite makeup products, this cream-based shadow is shimmery yet easy to blend with your fingertip or a brush. 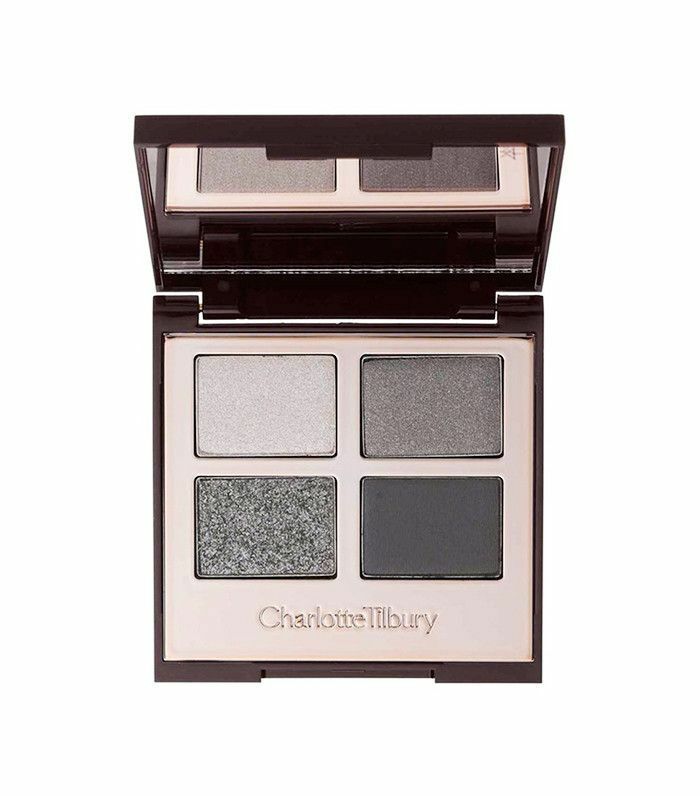 Ma recommends using this palette for a sassy smoky eye look. After you've created your charcoal-lined eye, Ma recommends dabbing silver glitter all over the eyelids or around the inner eye corners with your fingertip. 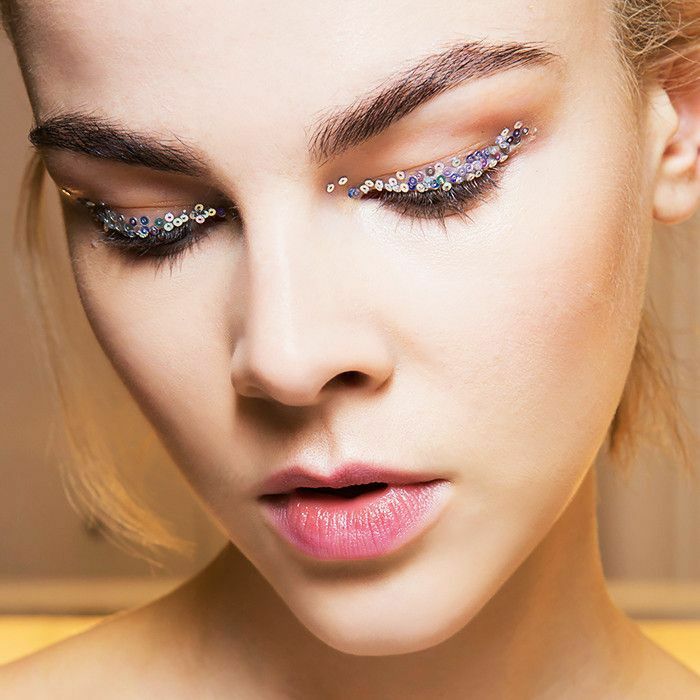 Want more glittery makeup inspiration? Check out this story on how to pull off glitter eye makeup like a French girl.